It was the scientific equivalent of finding fine wine in an old cask. Analyzing whale oil from the whaling ship Charles W. Morgan’s last voyage, in 1921, marine chemists at Woods Hole Oceanographic Institution found that the oil contained chemical compounds with properties similar to toxic PCBs and the pesticide DDT. Here’s the surprise: Large-scale production of PCBs began in 1929 and DDT in the late 1930s. The research demonstrates that so-called halogenated organic compounds are also produced naturally and “were bioaccumulating in marine mammals—just as PCBs do now—before Monsanto, Dupont, and 3M were making halogenated organic compounds for in-dustrial use,” said Emma Teuten and Chris Reddy. Their findings were published February 2007 in the journal Environmental Pollution. In the past decade, routine analyses of animal and food samples, including marine mammals, human breast milk, and commercially avail-able fish, have begun to uncover halogenated organic compounds that could not be easily traced to known industrial or natural sources. Teuten’s and Reddy’s findings raise intriguing questions: “We do not know who makes many of these natural compounds, or why, or how toxic they are,” said Teuten, who is now at the University of Plymouth in England. “We suspect that many of the compounds were and are made by bacteria, plants, and animals”—as chemical defense mechanisms against predators. The whale oil samples had been preserved in the New Bedford Whaling Museum in New Bedford, Mass., where the Charles W. Morgan was built in 1841. 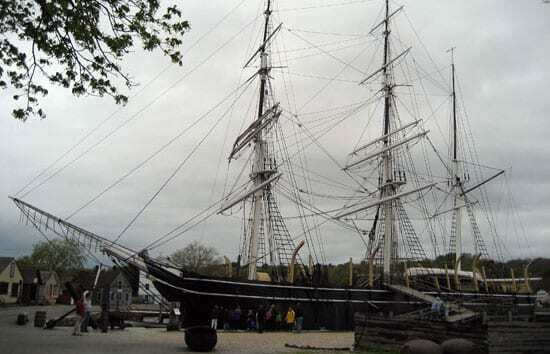 It was one of the last whaling ships operating during the 19th and early 20th centuries and traveled on voyages throughout the world. 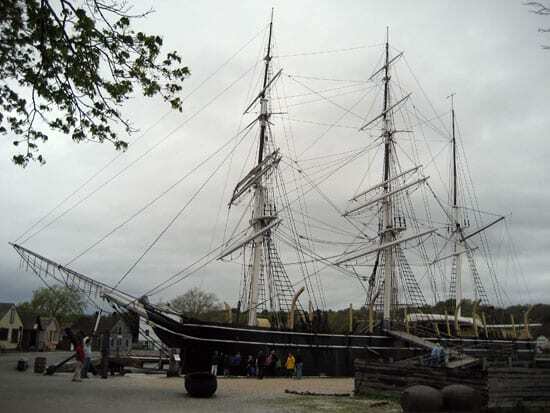 The ship, now preserved and on public display at Mystic Seaport in Mystic, Conn., was once owned by the father of former WHOI Trustee Gratia “Topsy” Montgomery, who was one of WHOI’s most generous benefactors. The research was supported by the National Science Foundation, the WHOI Ocean Life Institute, and The Camille and Henry Dreyfus Foundation. How Would ‘On-Call’ Buoys Work?